A New year is born every year every 365 days. For some this year has been really fruitful and enjoyable and for some they say that it has been the worst year. But actually it is not true. Like any business we have to write the gains & losses in the respective columns to decide the profit or loss. If you write the gains and losses on 2 different column you will see only see profit. Loss is not possible in anyone’s life unless you have lost yourself mentally, physically and logically. So you will always see profit unless you have control over yourself. Most people have a new year resolution. Some have the resolution that they will reduce weight, some will have a resolution to meet parents move often, Some have the resolution to quit smoking. Do not set resolution. I had a friend in college who took the new year resolution to quit smoking. He smoked 3 packets of cigarettes on 31st Dec saying it will be the last day. But he started smoking again on 2nd Jan morning. Setting resolution will not help you instead set goals. Do you know the difference between Goal and Resolution? A goal might be to lose weight, get in shape, eat healthier, love better, get a promotion, higher grades in school, etc. Those are things you truly hope you’ll do in 2017. That’d be the plan that’ll actually get you there. So your resolution might be to pack your lunches every day to work, to go for a 20 min walk on your treadmill every morning before you shower. 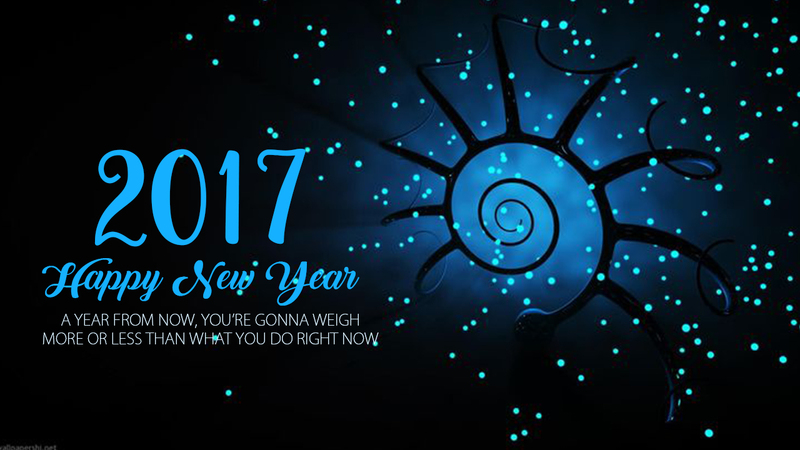 Set your goals right, have self Control and have a very Happy New year.